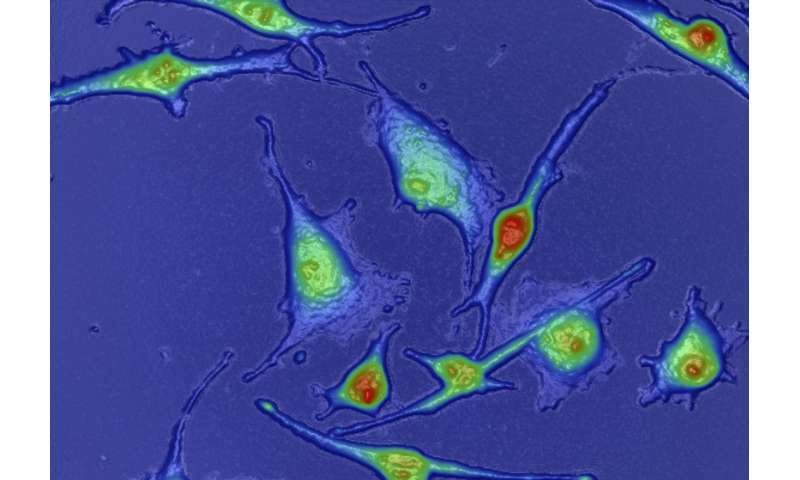 A group of scientists from VCU Massey Cancer Center and UCLA Jonsson Comprehensive Cancer Center have developed a new, high-speed microscopy platform that can measure a cancer cell's resistance to drugs up to 10 times faster than existing technology, potentially informing more effective treatment selection for cancer patients. The technology is being presented in abstract form today at the American Association for Cancer Research's Annual Meeting in Chicago. 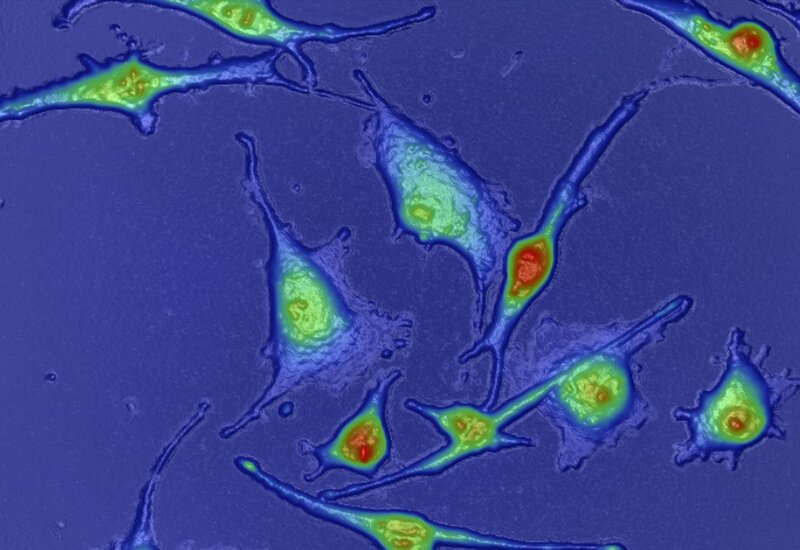 Quantitative phase imaging has proven to be effective in measuring individual cell growth in response to various therapies, especially in cancers that grow in clusters such as melanoma. However, in current implementations, this technique is constrained by limited sample size. The group of scientists led by Jason Reed, Ph.D., member of the Cancer Molecular Genetics research program at VCU Massey Cancer Center, created a novel multi-sample, multidrug testing platform called High-Speed Live-Cell Interferometry (HSLCI) that directly measures tumor response to therapy at a significantly accelerated rate. HSLCI closely monitors the growth of a single cell's mass over time, but can measure the individual growth of 1,000 to 10,000 cells in one experiment, compared to previous studies which were limited to the analysis of approximately 60 cells per hour. If HSLCI measures a decrease in the growth of cancer cells, this is a sign that a treatment is effective. In a study, published in Analytical Chemistry, Reed applied HSLCI to models of metastatic melanoma, a disease in which tumor diversity and drug resistance are substantial obstacles to improved patient outcomes. Up to 80 percent of advanced melanoma patients receiving combination therapy develop drug resistance upon treatment. There are presently no reliable cellular biomarkers that can guide targeted melanoma therapy or improve patient outcome predictions, and measuring drug response in vitro (in cells removed from the organism) often requires long turnaround times. "A superior, rapid, accurate and inexpensive approach to determine melanoma drug sensitivity before - and periodically during - therapy is desirable," said Reed, an associate professor of physics at Virginia Commonwealth University.